We want to help you keep your family and school calendars in sync. 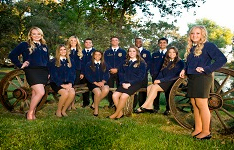 Since we have a lot happening in our FFA program, we encourage you to take advantage of our interactive calendar features to receive alerts via email or messaged straight to your electronic devices. You’ll never be surprised or unprepared for an event!